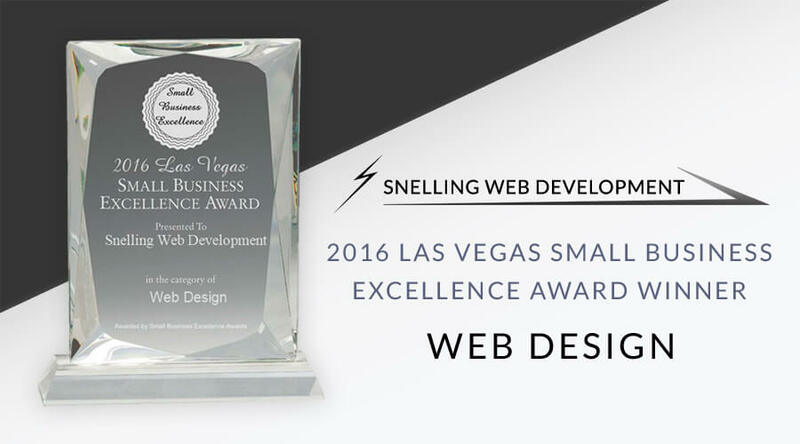 LAS VEGAS, NV / Snelling Web Development was nominated for and won the 2016 Las Vegas Small Business Excellence Award in Web Design, presented by the Las Vegas Small Business Excellence Award Committee. 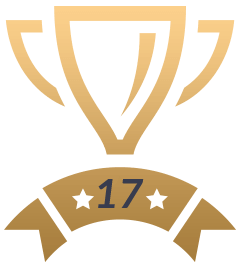 The Las Vegas Small Business Excellence Awards recognizes outstanding small businesses that serve the Las Vegas area. Each year, our selection committee identifies businesses that we believe have achieved outstanding marketing success in their local community and business classification. Recognition is given to those companies that have shown the ability to use their best practices and implemented programs to generate competitive advantages and long-term value. Firms such as Snelling Web Development enhance the positive image of small business through service to their customers and our community, helping to make the Las Vegas area a vibrant and vital place to live. Founded in 1999 and located in Las Vegas, NV, Snelling Web Development is a privately held firm specializing in providing a wide-range of custom website design & development and marketing design solutions for small business, organizations, and the government sector. We specialize in high quality, precision-driven custom website design & development. We build an ongoing relationship with our clients and provide them with a single source for Internet solutions, website design & updating, and marketing design solutions as their business needs grow. Founder & President of Snelling Web Development. Mr. Snelling's experience includes website design, development, testing & consulting for businesses and the U.S. government. He's also a published writer of various topics, including website design & development, SEO, computer viruses, Microsoft Windows® operating systems, and computer & Internet technology and security.